A break from Championship action gives Preston North End boss Alex Neil time to ponder some big issues. Blackburn Rovers are next up at Deepdale on November 24 with PNE looking to build on a seven-game unbeaten run that has lifted them to 18th in the Championship. The North End boss has plenty to consider ahead of the derby both on and off the field. We’ve taken a look at some of the dilemmas that might have occupied his mind over the last few days. Declan Rudd did well on his return to the side at Bristol City last time out although admittedly it was one of the more straightforward afternoons a goalkeeper could hope for. Having already brought in Chris Maxwell earlier in the season due to Rudd’s struggles early doors would Neil consider swapping back? It seems hasty given Maxwell showed good form, and PNE’s upturn in fortunes coincided with him being between the sticks, but the North End boss was critical of the way the Welshman was dismissed at Ipswich, his second booking coming for a foul outside his box near the touchline. Whatever way he goes the goalkeeping situation is sure to never be far from Neil’s mind. Does the PNE boss stick or twist at left back? Another position which hasn’t been settled this season, Josh Earl has been the man in possession for the last two games. He played with Andrew Hughes injured at Ipswich and then kept the shirt for the win at Bristol City. Hughes has played the majority of the games in the Championship since his summer move to Deepdale and Earl is clearly a player who needs a run of games to find his best form. There are certainly signs that is coming with Hughes’ performances having been up and down as he adapts to life in the second tier. The academy product’s run in the team should continue against Blackburn. What kind of midfield balance is best to face Rovers? 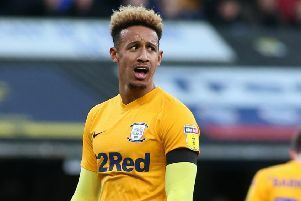 As has been PNE’s way this season, just as things look a bit settled they are without a player due to suspension, Daniel Johnson the man to miss out against Blackburn due to a fifth booking. DJ was excellent at Bristol City playing in a more advanced position, providing an assist for Callum Robinson and generally showing exactly what he can offer on his day. He got the nod alongside Paul Gallagher and Ben Pearson at Ashton Gate with Alan Browne dropping to the bench. The sight of the player of the year amongst the substitutes shows how many haven’t hit the heights of last season for PNE during their stuttering start to the season. The Irishman will likely get another chance this weekend though due to DJ’s enforced absence. What are the priorities during the transfer window? By the time the Blackburn game comes around it will be just over five weeks until the transfer window. Along with the club’s hierarchy the international break will have given Neil more time than usual to ponder what work needs doing in January. You would expect PNE’s target man hunt to be continuing after being so public about not getting one over the line in the summer window. But what of other areas? North End look short at right back with Tom Clarke having been pushed to full back with Darnell Fisher struggling for form. Could a goalkeeper could be on the cards given the uncertainty about that position? Who knows, but if PNE are still battling at the wrong end of the table it could be a busy start to the new year and the groundwork will already have been laid.